Daycare is a place designed for parents to take their children, so that they can focus on continuing to provide for them. Parents are supposed to be able to trust that their children are going to be treated by the daycare staff just as they would treat their own. Unfortunately, things don't always go according to plan. So, here are a few things that can happen to your child if neglected either intentionally or unintentionally at daycare. Does Neglect Have To Be Intentional? No, neglect does not have to be intentional at all. Neglect encompasses injuries caused intentionally by a worker, such as sexual abuse or psychological abuse. What Are Some Examples Of Intentional Neglect? Intentional neglect is where a daycare employee or owner commits an act such as sexual abuse or psychological abuse. Intentional neglect is also where the daycare employee physically beats or assaults the minor. In common terms, putting their hands on our kids without permission. Unintentional neglect is when the care provider fails to provide the necessities of life to the child or simply doesn't have the skills or knowledge to care for a dependent. Examples can choose to commit an act of sexual abuse or assault to a minor, but instead their actions or failure to act caused harm. For example, if a daycare worker is in charge of too many kids, but doesn't report it to her supervisor, this can be unintentional neglect. We all know what happens when one parent is in charge of watching 2 to 3 kids. Now, imagine that same parent is in charge of watching 15 to 20 kids at once. This is where kids get hurt, but not necessarily through the intentional acts of a daycare worker. Check out our article, What Are A Few Common Causes Of Daycare Injuries? How Can I Tell If My Kid Is Being Neglected While At Daycare? Depending on what happened, you can see it. For example, a broken bone, open cuts or bruises. These are visible injuries. You may not know the cause just yet, but you do need to ask your kid about them. Take photos if you think it may be related to the daycare facility. For non-visible injuries, you may not find out right away. Make sure to ask your kid how his day was and what they did. If anything seems strange, then ask more. For example, if your kid seems a little more withdrawn or quiet than normal, you want to know why. Is he or she suddenly sick? Or is there something more? Another example is hearing your kid saying they spent time with a specific daycare worker alone and on more than one occasion. That is not normal. Obviously, you want to do more digging, but these are just a few of the indicators. Check out some of the signs of daycare abuse and neglect. What Are Some Of The Physical Injuries That Commonly Occur At Daycare Facilities? We generally see broken bones, such as femurs, arms, collarbones, and feet. This can happen when kids are left unsupervised and not being monitored closely. It can also happen when a younger kid is left with a group of older kids. We all are aware of bullying and it does happen, unless a parent or daycare worker stops it. This is why we are so adamant about daycare safety. Brain injuries are also common with daycare injuries. Whether it is a concussion or other various types of brain injuries, these are common because their skulls are not fully developed yet. Kids hit each other and fall often. However, kids are not as familiar with equipment as we are as adults. So, they may be playing with a jump rope, and it gets caught around their neck. If a daycare worker is not present or watching too many kids and doesn't notice, this can result in a brain injury. Sexual or psychological abuse is common as well. These are common because they are harder to find out about as parents. The kids are young: ages 1-10. They don't know how to express what is happening to them as an adult can. They want to but it is not as easy. Daycare workers that do these acts of sexual assault or psychological attacks make it seem normal and make the kids feel at fault. So, that may cause the kid to lose self-confidence as well. Make sure to check out for these Signs of Daycare Neglect or Abuse by following the link. I am not a doctor or licensed counselor, but these are just some of the types of injuries and causes we see with clients that come in our door. When we handle a daycare case, we also investigate prior acts of neglect that occurred at that facility or that specific employee. These are not isolated events and need to be cleaned up. 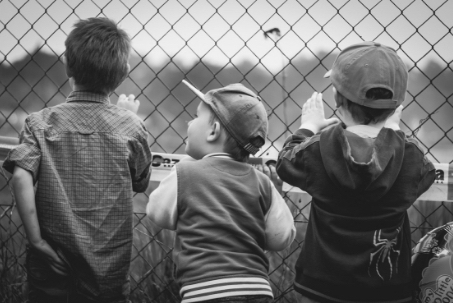 If you have any questions about an incident regarding neglect at a daycare, reach out to us. You can reach us by calling our office at 214-888-2216 or filling out our Contact Us form. 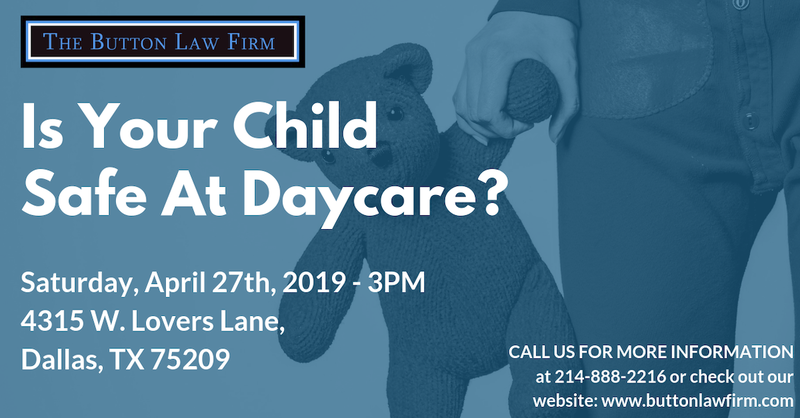 We will help explain your rights as a parent, inform you of when you may need a lawyer and when you may not, and generally give you some piece of mind. No pressure call. Just let us know that you want to gather some information, and we will send you our FREE daycare guides for parents. As always, we want you to be informed during your decision-making process. If we can help along that journey to find the answers to your questions, we would love to do so.